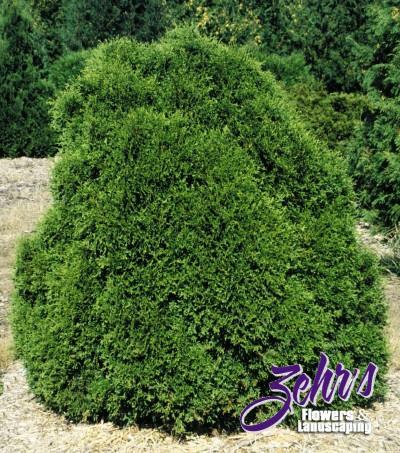 A dwarf, globe-shaped, compact evergreen. Bright green foliage. Grows slowly and needs no shearing.